A hidden command that forces the “voice-class sip dtmf-relay force rtp-nte” DTMF relay negotiation to rtp-nte and It’s only necessary if the other side doesn’t advertise rtp-nte. The first packet says that it is the start of a new NTE digit because it does not have the endbit set . The second and third packets are repeats of the first packet for redundancy. The fourth packet is a refresh packet with a duration of 50ms (0x0190 = 400 samples * 1sec / 8000 samples). The fifth packet is the endbit packet (84) with a duration of 100ms (0x0320 = 800 samples * 1sec / 8000 samples). The sixth and seventh packets are redundant packets for packet five. 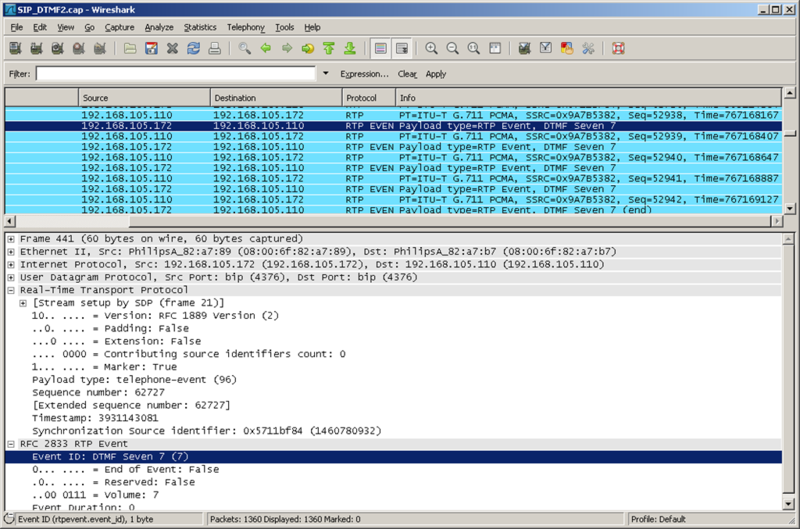 This method is used to carry session control information along the SIP Signaling path during an existing session. 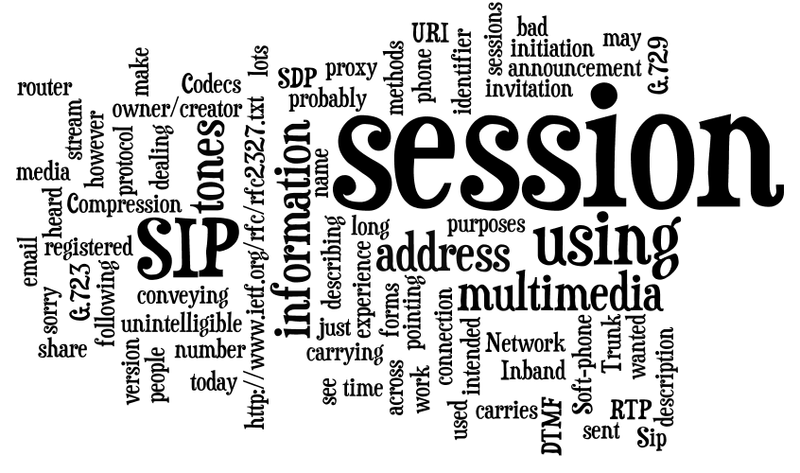 SIP info can carry the digits you type without changing the characteristics of the SIP Session. The SIP INFO Method for DTMF Tone Generation feature is always enabled, and is invoked when a SIP INFO message is received with DTMF relay content. This feature is related to the SIP NOTIFY-Basec Out-of-Band DTMF Relay Support feature, which provides the ability for an application to be notified about DTMF events using SIP NOTIFY messages. Together, the two features provide a mechanism to both send and receive DTMF digits along the signaling path. I have read about an IVR DTMF telephone system that I have found recently on the Internet. IVR (Interactive Voice Response) is an interactive menu in which the customer can communicate with the customer service by pressing the buttons of a traditional telephone. The caller is welcomed by a voice menu when he calls the company’s phone number. The caller listens to the voice menu and selects a menu point that he wants to know more about. After that an another menu starts where the caller has opportunity to choose an another menu point that he is interested in etc. By stepping in the voice menu the caller can get to the menu point he is interested in. I can suggest this system to the corporations who are dissatisfied with their customer services. This IVR DTMF system in this way provides a corporate IVR telephone system is controlled by computer. On the page I have found this solution contains a sample IVR software with his source code too. It was written in C# language using .NET framework. The basis of this IVR DTMF system is Ozeki VoIP SIP SDK. It is so easy to develop it and customize to the needs of the user. To do this you need some basic C# and VoIP knowledge. DTMF dual Tone Multi-frequency are signals/tones that are sent when you press a telephone’s touch keys. These tones (or data signals) are used to access voice mail “passwords” and navigate IVRs or attendants for largecompanies like banks. At times you may find that the far end will not recognize or react correctly to the input you made from your phone. 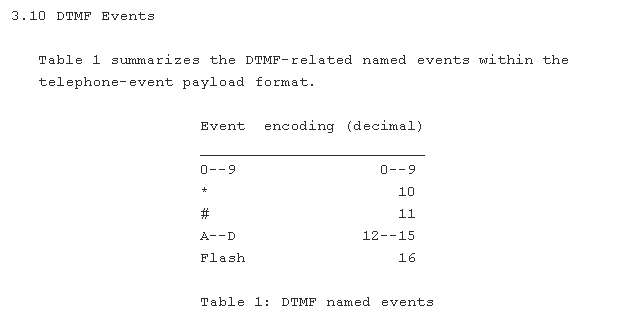 These problems are typically DTMF issue’s. I also have a website regarding VOIP.